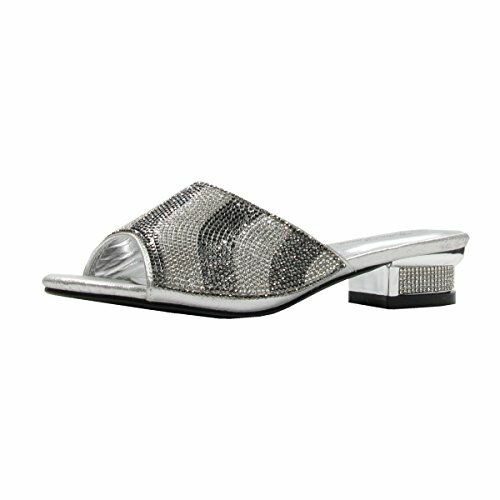 Women's rhinestone low heels slipper sandals, elegant classic style. It will look gorgeous with any type of dresses. They even look great with your favorite pair of capri legging or skinny jeans. Rhinestone Detailed Heels Measures Approximately 1.5"